PETERSBURG, VA (WWBT) - Usually, the order is graduate from high school, then graduate from college. That won't be the case for two Petersburg teens. They will have their associate degrees in hand by the time they get their high school diplomas. There's nothing like a best friend who can make you a better person. "If I didn't have Tony, I wouldn't have the grades that I have," said Amaya Cornvalius. 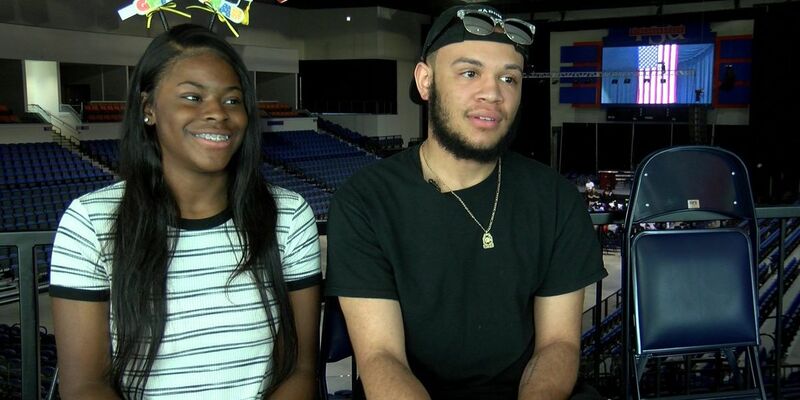 Cornvalius and Antonio Duperior-White are Petersburg High School seniors getting ready to graduate on Saturday. The two became best friends in the 10th grade. Since then, they have stuck by each other's side. "Tony sent my schedule up. Tony said 'you need to do this by this day. Maya, did you get this work done?'" said Cornvalius. So it would only make sense for the two friend to reach for the same goal: earning a college degree while still in high school. "I was like, 'oh, it would be a good opportunity for me, since I have to go to school for a long time, so I don't have to pay for two years," said Duperior-White. "So when the opportunity came knocking, I opened the door," said Cornvalius. They were accepted into the Middle College program. Petersburg Public Schools and Richard Bland College enroll qualified high school juniors into college-level math and English courses, so students can earn a high school diploma and an associate degree at the same time. "I know, set in stone, what I want to do," said Duperior-White. ...and focus on their career goals. "I would like to get my master in psychology, so I can get my license to become a clinical psychiatrist," said Cornvalius. "I want to work at the FBI headquarters, be a forensic scientist there, like the lead forensic scientist," said Duperior-White. Cornvalius will be attending Hampton University, while Duperior-White will stay close to home at VCU this fall.